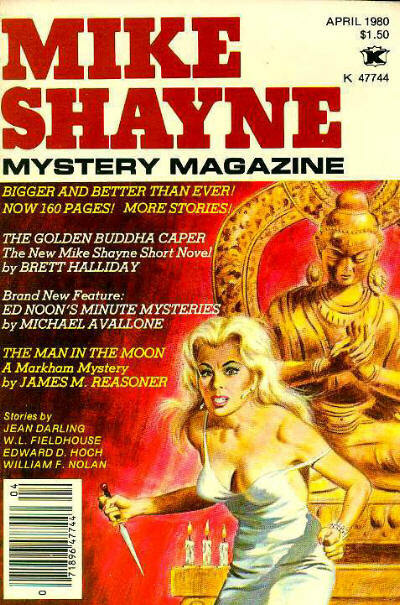 Although “The Man In The Moon” is a novella written for the Mike Shayne Mystery Magazine over thirty years ago, the story reads a lot like today’s world. There’s a noted absence of GPS and cell phones, but some folks don’t use those much these days anyway. Societal changes have come about as well. One of the events in the story really caught my attention and I thought that likely it wouldn’t happen these days. I’m referring to when Markham, the detective hero, enters the house of the children he rescued, pours them milk from the refrigerator, and puts them to bed. Nope, can’t see that happening these days. 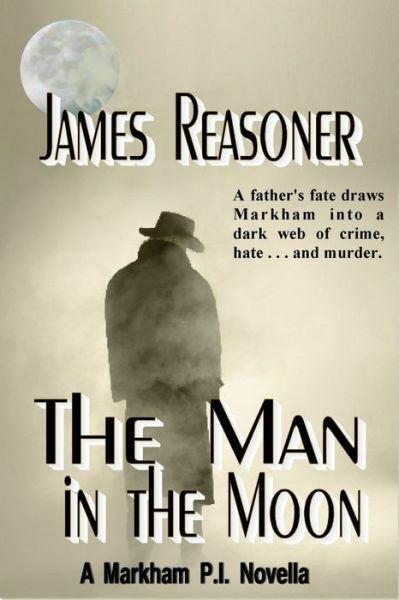 From what I gather, author James Reasoner has written a few stories about Markham, PI for the mystery magazines in the day and we’ll be seeing a few more of them as they make their way to Kindle. The character is a little thin in this story because we don’t get to know too much about him, but he’s a reliable narrator and feels like a lot of private detective heroes I’ve read about over the years. But Markham is more of an “everyman,” not a Spenser, not a Mike Hammer. He’s a guy who does his job and for the most part seems to enjoy it. This story revolves around the disappearance of an abusive father shortly after he visited his ex-wife’s trailer and took their young son and daughter. There are a few other interesting people that end up being suspects and some illegal activities that surface, and a few hardcases that Markham ends up wrangling with. At 10,000 words, the novella is easily read in a sitting and feels a lot like a solid television episode that provides enough twists and turns to keep the armchair detectives guessing and re-guessing. I enjoyed the story quite a lot and look forward to more Markham casefiles. This entry was posted on June 21, 2013 at 6:06 am and filed under Crime,detective,ebook,Mystery,Novella,series fiction. You can follow any responses to this entry through the RSS feed.